There’s no question that groups like Mothers Against Drunk Driving (MADD) are fighting every day to stop drunk driving, and over the years they’ve settled on a few solid ways they know will stop a drunk driver from getting behind the wheel. One of those ways are ignition interlock devices, and others include harsher drunk driving laws and DUI or DWI checkpoints. Many states use DWI checkpoints to pull over as many drunk drivers as possible. Due to how these checkpoints run and the amount of police officers required to make one happen properly, it can take up a large part of the police force yearly budget. For some states that money can come in from the federal government, but as of July 1st, 2017, Missouri will no longer be able to access federal funds to pay for their DWI checkpoints. Money coming in from the National Highway Safety Act is usually budgeted out for DWI checkpoints, but in a budget proposed by the Republicans in Missouri it was decided that they would only allow $1.00 to be used for that purpose. The budget hasn’t been signed off by the Governor yet, but if it is passed as is police are going to have to dip into different wells to fund any DWI checkpoints they might run. The alternate to that? Police in Missouri stop having DWI checkpoints altogether. What could happen if there are no DWI checkpoints in Missouri? Because they’re one of the main ways that drunk drivers are stopped in all states, police officers could be missing out on important opportunities to stop drunk drivers. 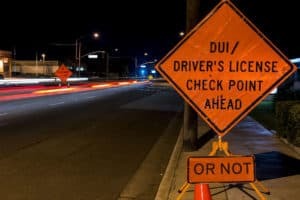 Without checkpoints more manpower and an increased budget may have to be allocated just to keep enough patrol cars on the roads to spot drunk drivers, and if arrest rates go down, Missouri could see their drunk driving fatalities go up. No one knows what will happen if Missouri loses funding for or ceases DWI checkpoints completely, but it doesn’t sound like an experiment any state would want to try out. Could A Drunk Driving Offender Get An Interlock Pass In Missouri? 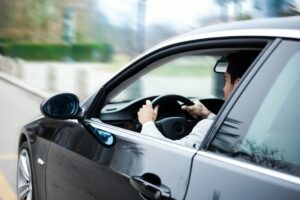 If a drunk driving offender loses his or her driver’s license and is required to only drive with an ignition interlock device, should that person be allowed to drive a company car without one? The answer should be no: a drunk driving offender shouldn’t be able to drive without an interlock, period. But if you’re convicted of drunk driving in Missouri? The answer could soon be yes. A bill that’s on the table in Missouri could allow a drunk driving offender to drive an employer-owned company vehicle without an ignition interlock device. Senate Bill 474 states that any repeat drunk driving offender who is required to drive with an ignition interlock in their personal vehicle can apply for an exemption that will let them operate a vehicle owned by their employer. If you’re convicted of drunk driving in Missouri right now, using an ignition interlock device is a requirement, not an option. Missouri is an all-offender ignition interlock state, and that means a first-time offender is required to use the device upon driver’s license suspension for a period of ninety days. That time period is longer for repeat offenders. What could happen if they change the law to allow repeat offenders to skip the ignition interlock, even if it’s just on an employer’s vehicle? Although you’d hope these offenders would realize this restricted license is a privilege and stick to the rules, it’s possible that a repeat offender would be tempted to drink and drive in their employer’s vehicle. And if they drink and drive, someone could easily be injured or killed because of that reckless decision. A better option for Missouri would be to strengthen their ignition interlock laws by allowing an drunk driving offender to install an interlock immediately after arrest. That would give them an immediate consequence for making the choice to drink and drive. Missouri could also beef up their laws to require ignition interlocks if someone refuses a breathalyzer. Senate Bill 474 is making its way through the house. Whether it will pass is anyone’s guess, but to stop drunk driving offenders in a state like Missouri, ignition interlocks are needed in all vehicles, not just personal vehicles. Did you know that the average drunk driver gets behind the wheel drunk 80 times before he or she is arrested for the first time? Or that 50 to 75% of people will decide to drink and drive on a suspended driver’s license? This data comes straight from Mothers Against Drunk Driving (MADD) and it’s accurate, but the odds are against you if you think you’d be able to easily drink and drive 80 times and not worry about arrest. Some drunk drivers only drink and drive once or twice before they get arrested for the first time, and some are arrested, decide to skip their penalties, and end up arrested over and over again. That’s why a Kansas City, Missouri woman ended up in a jail again recently. She made the decision to drive drunk and was arrested for the fifth time, this time with her child in the car. Police spotted her driving erratically on a Sunday afternoon. She was swerving in and out of lanes, following cars too closely, and ended up cliping a car when attempting to pass. When police caught up with her they charged her for leaving the scene of an accident, endangering the life of her child, and although she refused a breathalyzer and blood test, driving while intoxicated (DWI). The worst part of this case? She was driving with a disengaged ignition interlock. According to Missouri drunk driving laws, if you’ve received three or more DWI convictions you’re required to install and use an ignition interlock device. If she’d been properly using the interlock, she wouldn’t have been able to drive drunk. Although there’s no telling how often she was able to drive drunk while her interlock was disabled, odds are it wouldn’t have been very long. Ignition interlocks are designed to lock out the driver if he or she continues to fail breath tests or they aren’t properly using the device. It would only have been a short time before her vehicle entered a permanent lock out, and she wouldn’t have been able to drive again until she brought it in for service. In this case the driver learned a valuable lesson: if you decide to drink and drive or you decide to ignore your penalties, it will always catch up to you, and you’ll be in even hotter water than you were before. Missouri drunk driving laws are pretty cut and dried. If you’re driving drunk and police stop you, you’ll receive a driving while intoxicated (DWI) charge that will result in you immediately losing your driver’s license for ninety days. The only way you can drive during a Missouri drunk driving suspension is if you apply for a Restricted Driving Privilege (RDP). You’re not eligible for the RDP if you have had another drunk driving charge on your record over the past five years, but if you haven’t been charged within five years and your driver’s license isn’t suspended for another reason, there are two ways you can drive again in Missouri. You can resume driving immediately after receiving a Missouri drunk driving charge if you install an ignition interlock in your vehicle. You’ll have to use your ignition interlock in every vehicle you drive and keep it installed for the entire time you’re required to. If you’ve received a Missouri drunk driving charge you can choose to spend thirty days without your driver’s license and then apply for a sixty-day RDP. During your sixty day RDP you’ll need to use an ignition interlock device in any vehicle you own or drive. If you don’t think either of these scenarios is appealing and you don’t want to apply for RDP, you can’t drive at all. Driving with a suspended license has a set of penalties all of its own, and you don’t want to get caught skirting the law. No matter whether you choose to drive immediately with an ignition interlock or wait out a thirty day suspension and then begin driving with the device, if you want to drive after a DWI conviction in Missouri, you’ll have to warm up to the idea of an ignition interlock. For any drunk driver, it’s the easiest path back to the road and on with your life. Being charged with drunk driving in Missouri gives you a lot to think about, and the penalty system isn’t as cut and dried as paying a simple fine or losing your driver’s license for a brief period of time. 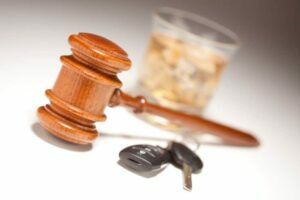 According to Missouri ignition interlock and drunk driving laws, you’ll need to work your way through both criminal and administrative penalties before you’ll be able to move past your driving while intoxicated (DWI) conviction. If you’re charged for drunk driving in Missouri one time, you’ll have to spend up to six months in prison. Your maximum fine is $500, and you’ll have to attend an alcohol treatment and addition evolution program. When it comes to driving, you’ll have to consider cabs and buses because you’ll lose your driver’s license for a ninety day period. Depending on the circumstances of your DWI, you may also be asked to install an ignition interlock in any vehicle you drive. If you make the mistake of drunk driving in Missouri for a second time, you’ll spend more time in jail. There’s a one year maximum incarceration period and up to $1,000 in fines. You’ll lose your driver’s license for a one year period, and you may be required to install an ignition interlock after the one year period. Refusing to take a breathalyzer test won’t help you avoid a DWI either. If you refuse to submit to a breathalyzer when asked you’ll lose your driver’s license for one year just like you would if you were convicted of DWI. 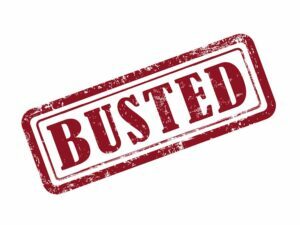 If you refuse the breathalyzer a second time you’ll lose your driver’s license for one year and you’ll be required to install an ignition interlock in any vehicle you drive. Getting stopped for drunk driving can be a life changer, so do yourself a favor and avoid the jail time, fines, driver’s license suspension, and Missouri ignition interlock by skipping the drinks if you plan to drive.